We are Gibraltar's leading fresh food and drink restaurant. We're open for breakfast, lunch and evening food & drinks daily from 7am to 9pm for delicious cooked meals, fresh juices & smoothies, quick grab & go, and evening drinks. We have Gibraltar's widest range of vegan products. Our world-class team of chefs, bartenders and servers are here to provide great customer service and great value. We’re so proud of our breakfast options that we choose to offer them all day from open to close. Whether our delicious pancakes tickle your fancy, or you’ve got a craving for smashed avocado on toast, we’ve got you covered. Our superfood specials are designed to make you feel and look great by using only the best ingredients to provide you with the right combination of proteins, fibre, carbohydrates and healthy fats. We have the largest selection of freshly made juices and smoothies around. Our coffees are pretty great too. 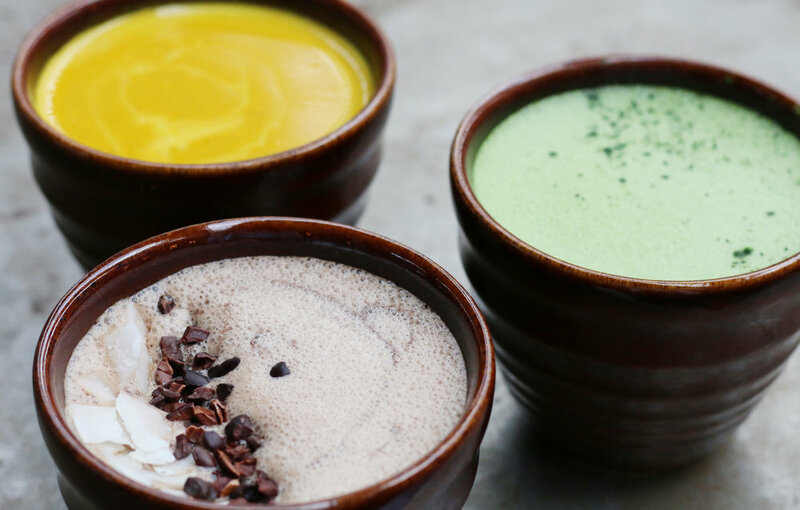 Why not try one of our speciality coffees like a Matcha Latte with home-made coconut milk. Based in the World Trade Center our main restaurant on the Mezzanine has floor to ceiling windows looking out onto the rock of Gibraltar, and the street below. Great for business lunches, healthy snacks or just to grab a quick bite, we have everything you could need. Visit our sister cocktail bar Paradise at Market Place (Just outside Casemates Square), Gibraltar’s best cocktail bar, with tiki cocktails, pizza, and great music every night until late.